Thanks to a series of announcements from A/V heavyweights Yamaha, Marantz, and Denon, home-theater owners are getting more and more immersive-audio options: Yamaha announced its first DTS:X firmware upgrades, while Marantz and Denon announced Auro-3D upgrades to select models. Owners of Yamaha’s flagship CX-A5100 AV preamp processor, as well as the company’s Avenge RX-A3050, RX-A2050, and RX-A1050 A/V receivers (all of which previously supported Dolby Atmos) can now download a free firmware update to add DTS:X support. The free firmware update is available from each respective model’s support downloads via Yamaha’s website. Yamaha now joins Denon and Marantz to be among the first A/V manufacturers to release an upgrade for DTS:X. Both DTS:X and Dolby Atmos are object-based immersive audio formats that support height speakers to deliver a more life-like, three-dimensional sound field to music and movies. 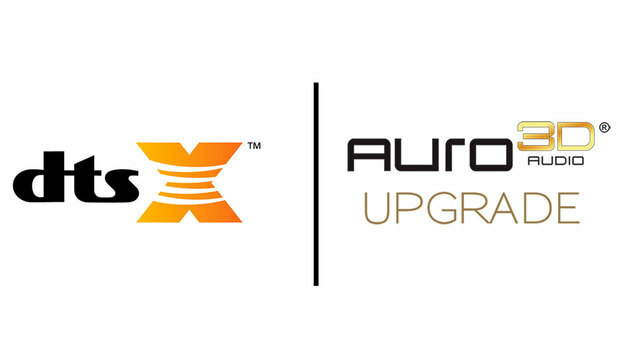 Not to be outdone, Denon and Marantz, have upped the immersive audio ante by announcing Auro-3D upgrades. Denon and Marantz now stand as two of the small handful of manufacturers offering support for all three major immersive audio formats: Dolby Atmos, DTS:X, and Auro-3D. A $199 upgrade enables the Marantz AV7702mkII preamp-processor to handle all three immersive-audio formats, including Auro-3D. 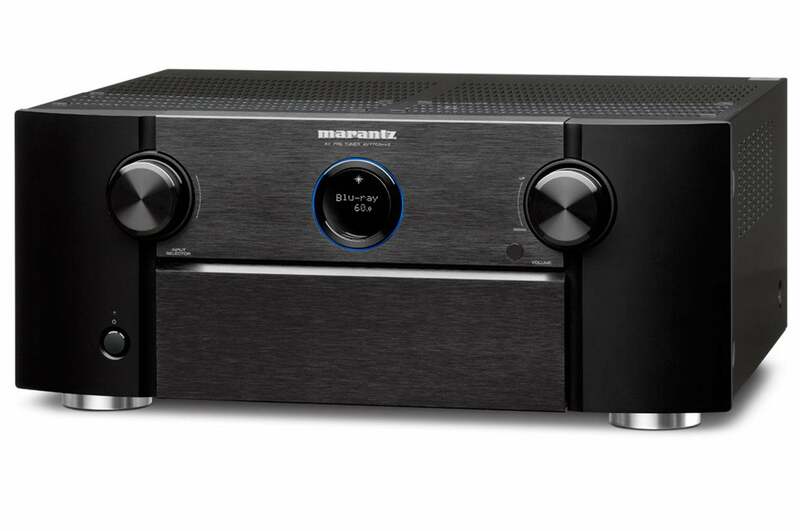 Owners of Marantz’s AV7702mkII preamp-processor and the SR7010 premium network AV receiver, or Denon’s AVR-X4200W and AVR-X6200W receivers can purchase a $199 Auro-3D upgrade directly from each unit’s system-upgrade menu. Denon and Marantz had previously reserved the Auro-3D upgrade for each brand's flagship models only. Unlike Dolby Atmos and DTS:X, which are object-based, Auro-3D remains a channel-based immersive audio format, which mixes sounds into specific audio channels. Moreover, Auro-3D’s discrete height channels sit directly above traditional home theater speakers. This placement makes them more appealing for some installations than the in-ceiling speakers specified by Dolby Atmos. You might also want to read this in-depth explanation of Dolby Atmos and DTS:X. For pre-processrs and receivers that support Auro-3D’s 10.1-channel layout, users have the option of installing a discrete overhead speaker, often called the “voice of God” channel. This additional speaker adds a third height layer to the immersive sound field that Auro-3D says delivers a much more realistic and lifelike presentation of overhead sound when compared to other immersive formats that simply have an in-ceiling height layer. 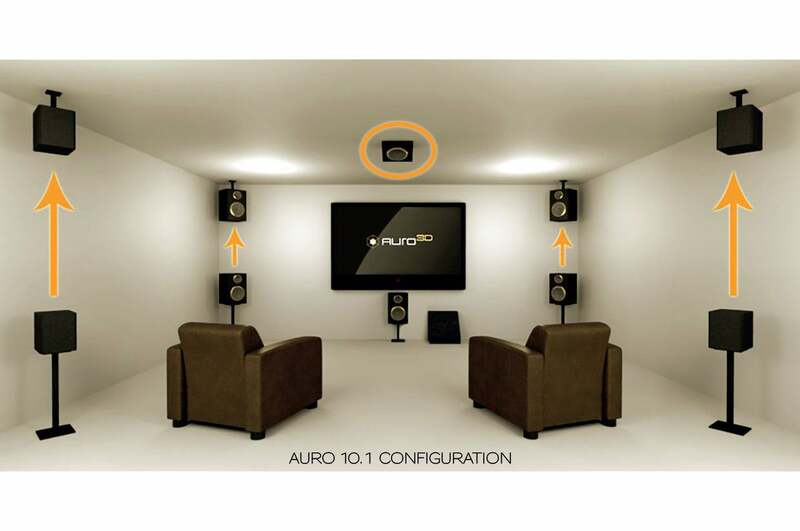 Auro-3D's 10.1-channel layout includes a discrete overhead speaker commonly described as "the voice of God." Just as with Dolby Atmos and DTS:X, Auro-3D has a 2D to 3D Auro-Matic upmixer that will convert legacy multi-channel audio into an immersive-audio experience. While Auro-3D is a relative newcomer to North American audiences, it is well established in Europe. Auro-3D boasts a solid installed-base in commercial movie theaters as well, and several Blu-ray movies and music titles have been released in Auro-3D’s immersive audio format. 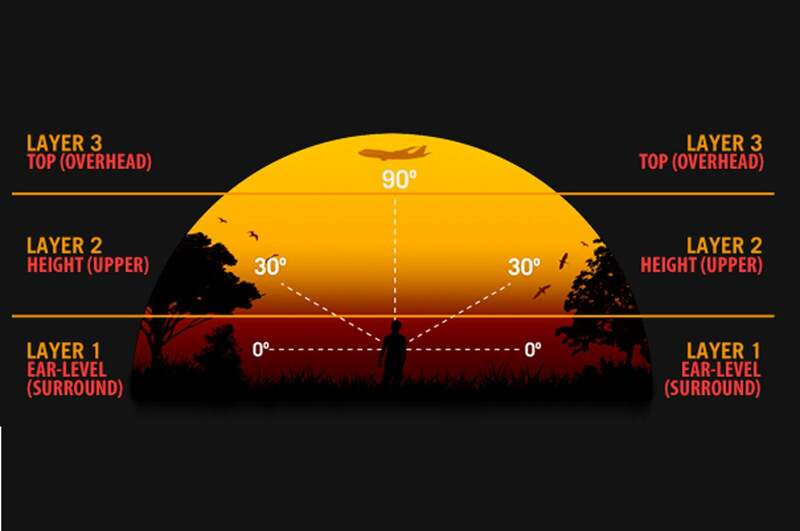 Immersive-audio formats can be visualized as operating in layers. Customers who are looking to upgrade to Auro-3D should note that the on-wall and in-ceiling speaker layouts differ between Auro-3D and Dolby Atmos. Consequently, you can’t run both Auro-3D and Dolby Atmos at the same time. DTS:X, on the other hand, can use either Auro-3D and Dolby Atmos’ speaker layouts because of its layout-agnostic architecture. Knowing that some customers will want the option to run all three immersive-audio layouts, Denon and Marantz implemented a universal immersive-audio speaker layout that uses front and rear height speakers for all three formats. Denon's and Marantz’s universal speaker layout resembles Auro-3D’s and does not mandate in-ceiling speakers, making it a potentially excellent compromise. Selecting the universal speaker layout will allow customers to use all three immersive-audio formats on supported Blu-rays and legacy content. No matter how you slice it, it’s a great time to be a home-theater enthusiast. The solid adoption of Dolby Atmos; the ongoing rollout of DTS:X; and now the growing availability of Auro-3D gives consumers an ever-growing set of options to bring the benefits of immersive audio home. « What will it take to make AI sound human?